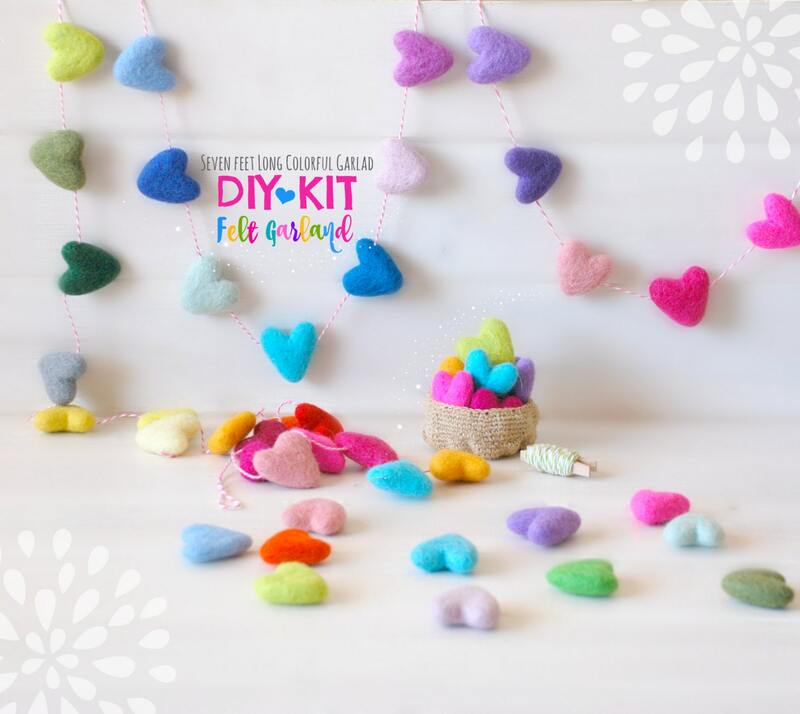 Have fun making your own garland with all of these colorful felt hearts! * Rainbow Pack: 2 Hearts of each color: Pea Green, Apple Green, Celeste, Peacock, Sky Blue, Cobalt, Soft Lilac, Amethyst, Neon Pink, Fuchsia, Yellow, Marigold, Tangelo, Red and Dark Red (If a color is out of stock, I will pick another color for your pack). 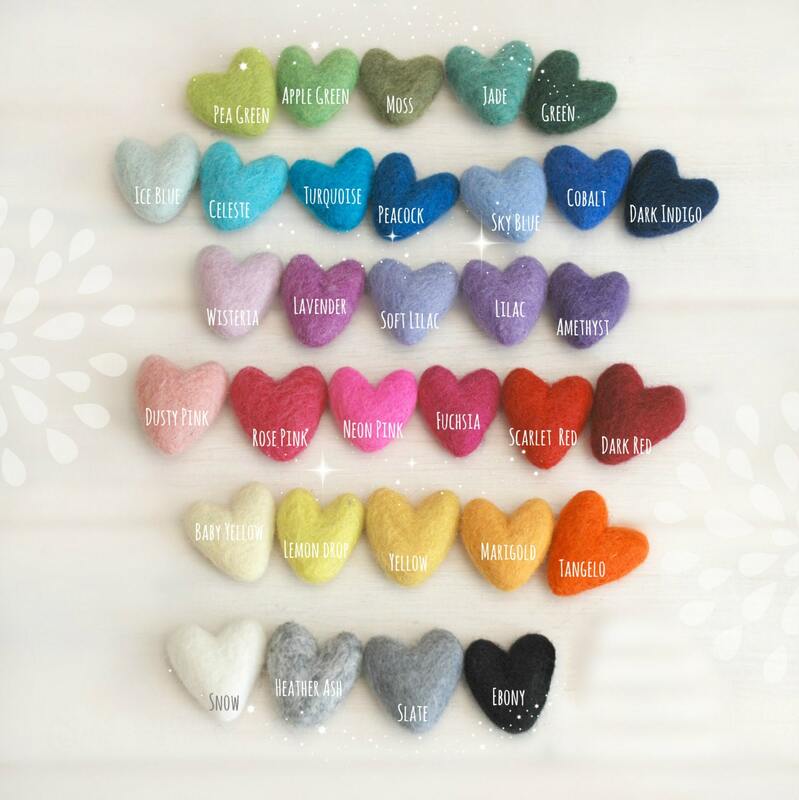 * Choose 2 Colors: 15 Hearts of each color, refer to images 3-5 to see colors available and Indicate them in the “Notes to Seller” section at checkout. * Choose 3 Colors: 10 Hearts of each color, refer to images 3-5 to see colors available and Indicate them in the “Notes to Seller” section at checkout. * Choose 6 Colors: 5 Hearts of each color, refer to images 3-5 to see colors available and Indicate them in the “Notes to Seller” section at checkout. Love these! I love that you can select your color combination. Hearts are perfectly as described and an adorable addition to my house. Super cute! Great quality! Was also a really fun craft to string these together. Thank you! Just can't stop ordering kits and supplies from you! This is my happy Etsy shop, indeed! I have 2 other wool garlands in my daughters room and I love how I can add a heart shape one to it now. Thank you so much for adding a needle as well!! !